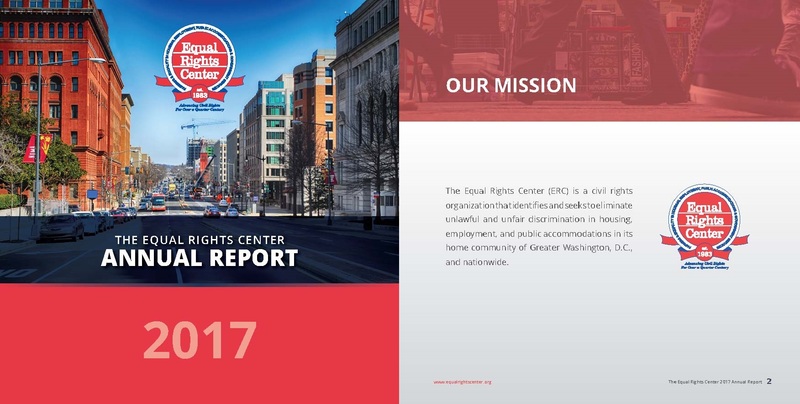 T he ERC is a civil rights organization that identifies and seeks to eliminate unlawful and unfair discrimination in housing, employment and public accommodations in its home community of Greater Washington DC and Nationwide. Advancing civil rights today requires innovative thinking, ground-breaking research, and a commitment to making a lasting impact. 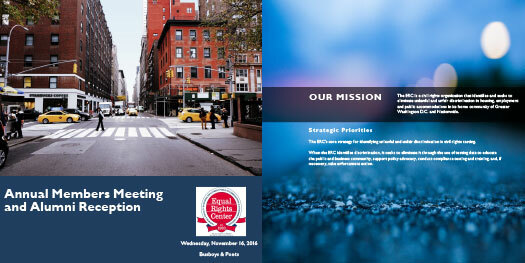 At the ERC, we have set ourselves apart and built our reputation on these values. As a non-profit organization, the ERC annually files IRS Form 990 giving an in-depth snapshot of the organization’s governance and finances.